To extend this personalized experience we may track the IP address of a user’s computer and save certain information on your system in the form of cookies. A user has the option of accepting or declining the cookies of this website by changing the settings of your browser. You agree that Propertiesatpune.com may use personal information about you to improve its marketing and promotional efforts, to analyze site usage, improve the Site’s content and product offerings, and customize the Site’s content, layout, and services. These uses improve the Site and better tailor it to meet your needs, so as to provide you with a smooth, efficient, safe and customized experience while using the Site. 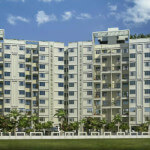 All Propertiesatpune.com websites including this website fully comply with all Indian Laws applicable. 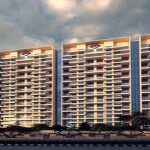 Propertiesatpune.com has always cooperated with all law enforcement inquires. Propertiesatpune.com may disclose all or part of your personal details in response to a request from the law enforcement authorities or in a case of bonafide requirement to prevent an imminent breach of the law. 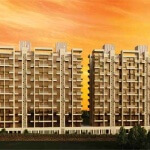 Propertiesatpune.com has taken all reasonable steps to ensure that information on this site is authentic. Users are advised to research bonafides of advertisers independently. Propertiesatpune.com shall not have any responsibility in this regard. We also recommend that you visit link to User agreement/Disclaimer for more comprehensive information on this aspect. 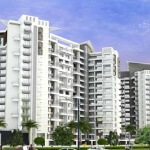 Propertiesatpune.com has implemented and uses Display Advertising. Propertiesatpune.com is using Remarketing with Google Analytics to advertise online. You can opt-out of Google Analytics for Display Advertising and customize Google Display Network ads using the Ads Preferences Manager. Third-party vendors, including Google, show our ads on sites across the Internet. We and third-party vendors, including Google, use first-party cookies (such as the Google Analytics cookies) and third-party cookies (such as the DoubleClick cookie) together to inform, optimize, and serve ads based on someone’s past visits to our website.